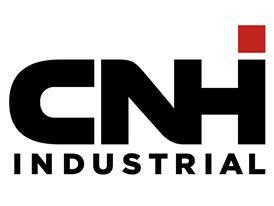 CNH Industrial N.V. (NYSE: CNHI / MI: CNHI) today announced that its wholly owned subsidiary, CNH Industrial Capital LLC, has priced $500 million in aggregate principal amount of 4.875% notes due 2021, issued at an issue price of 99.447%. The offering is expected to close on March 17, 2016. The notes, which are senior unsecured obligations of CNH Industrial Capital LLC, will pay interest semi-annually on April 1 and October 1 of each year, beginning on October 1, 2016, and will be guaranteed by CNH Industrial Capital America LLC and New Holland Credit Company, LLC, each a wholly owned subsidiary of CNH Industrial Capital LLC. The notes will mature on April 1, 2021. Copies of the preliminary prospectus supplement and the accompanying prospectus for the offering may be obtained by contacting J.P. Morgan Securities LLC, c/o Broadridge Financial Solutions, 1155 Long Island Avenue, Edgewood, NY 11717, or by calling +1(866) 803-9204; Merrill Lynch, Pierce, Fenner & Smith Incorporated, 222 Broadway, 11th Floor, New York, NY 10038, Attention: Prospectus Department, Telephone: +1(800) 294-1322, E-mail: dg.prospectus_requests@baml.com​; Société Générale, 10 Bishops Square, London E1 6EG, Telephone: +44 (0)20 7676 7329, E-mail: syndicate-mo@sgcib.com​; or Wells Fargo Securities, LLC, 608 2nd Avenue South, Suite 1000, Minneapolis, MN 55402, Attention: WFS Customer Service, Telephone: +1(800) 645-3751, E-mail: wfscustomerservice@wellsfargo.com​. Copies of the preliminary prospectus supplement and the accompanying prospectus for the offering are also available on the website of the U.S. Securities and Exchange Commission at http://www.sec.gov​.